The Della Dean is a fantastic home for entertaining intimate to large groups of friends and family with a large flowing great room. 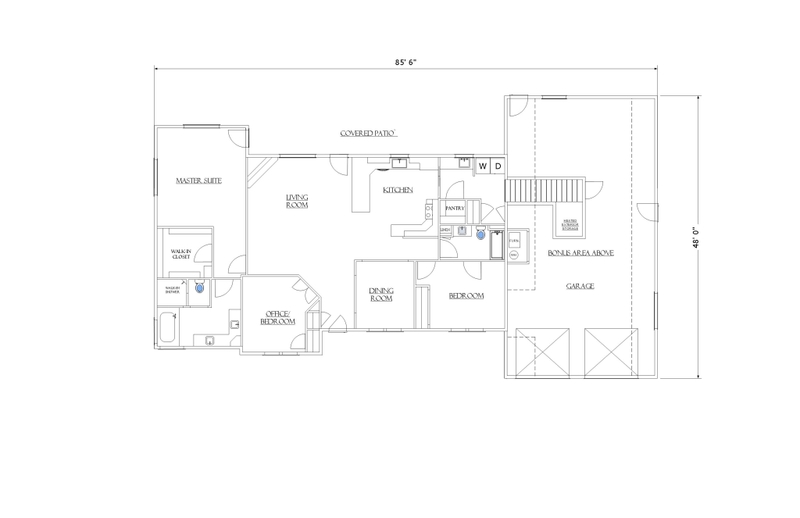 It is also a perfect floor plan for relaxing and rejuvenating alone with a spacious and private master suit with it’s own doorway to the back covered patio. The garage is a tandem 3-car with enough room left over for a work area or office space. The bonus area above the garage is the ideal spot for a mother-in-law suite or college student apartment. Craigs Della Dean design was exactly what my wife and Iooking for! He took both our ideas and melded them together in a house we love. We have had many people compliment us our floor plan saying “Its so warm and inviting!” We have been living in our new home over a year and we are still smiling Thank You Craig! !